Starting a new business is exciting and challenging, but can also be daunting, especially if you’re used to having the backing and support of an employer. Often, this is the one factor that prevents people from taking the plunge and starting up on their own. Here at Extra Help®, we have always aimed to help franchisees make the transition to self-employed, business owners by providing them with the maximum level of support and advice they need. However, with more franchisees joining our family all the time, we need to be able to sustain and even improve the level of support we offer them. For this reason, I have decided to enhance my team and, in this blog, I’d like to introduce Nealem Stephens, our new National Business Development Manager. Nealem owns the Extra Help® franchise in Windsor and Maidenhead, which has been running since September. Although her business is only three months’ old, she has already built a strong client base and established a reliable team of excellent home-helpers. Nealem’s extensive experience in corporate recruitment, mentoring and coaching is already proving to be highly beneficial in running her own business. Prior to becoming a franchise owner, she enjoyed a successful career, spanning over two decades, working within both corporate and entrepreneurial start-up environments. 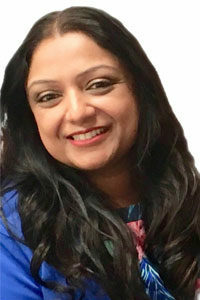 She is particularly experienced in the Health and Social Care industry, having previously worked for Home Instead Senior Care as Head of Recruitment and Training; Comfort Care Services as HR Resourcing Manager and SuperCarers as Head of Care. She has a Level 5 Leadership and Management qualification; she is Lean Six Sigma qualified and has received various awards, including ‘Best Practitioner Leader of the Southern Region’ whilst working for Nationwide Building Society as a Senior Manager. Nealem has even written her own book entitled ‘Best Boss Basics’, which is a pocket-sized guide to leadership. In her new role as National Business Development Manager, Nealem will support existing franchisees with their marketing, lead generation and growth strategies, or point them in the right direction if they need specialist services or advice. She will also be the first point of contact for prospective franchisees to answer questions about the franchise opportunity and inspire confidence in our brand. Nealem aims to maintain excellent communication with the Extra Help® franchisees by providing hands-on support whenever needed. Although Nealem has taken on this role, she will continue to run her own franchise and divide her time accordingly. She intends to balance the two roles with the use of impeccable diary management and, thanks to her previous roles, is comfortable with prioritising and multitasking. Nealem will be measuring her success based on a number of factors. Firstly, she will closely monitor franchisee satisfaction, to nurture and further develop the sense of team spirit that makes Extra Help® so unique. She will also observe franchisees’ results, to ensure there is consistent growth across the company and says that the morale and confidence of existing franchisees is of paramount importance in achieving this. We are delighted to have Nealem on board as our National Business Development Manager and looking forward to sharing her successes with you in our future blog posts.